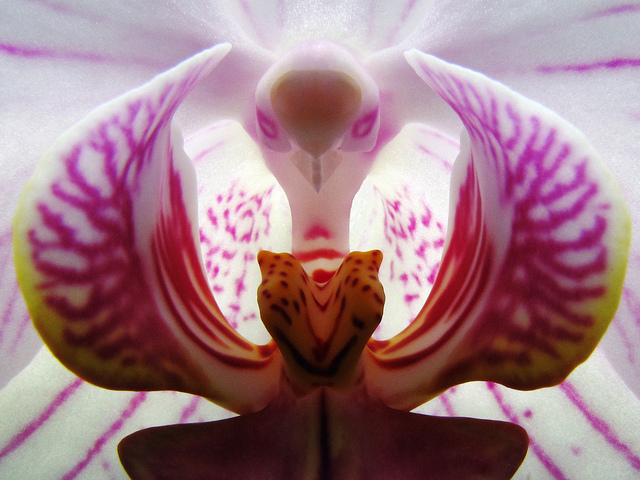 Maurice Maeterlinck knew what he was talking about when it came to bees. Later students of the enviable honey bee came to the same conclusion. 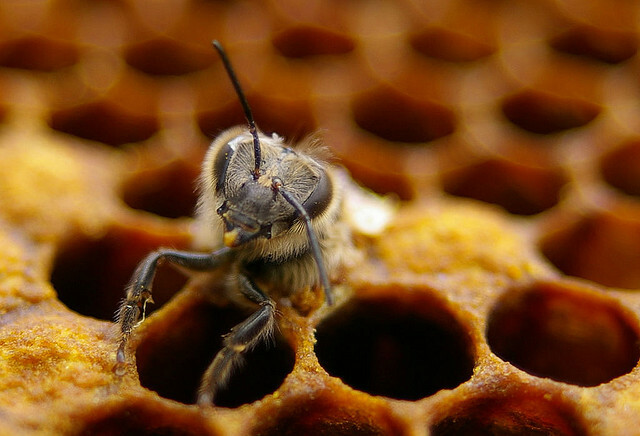 Despite their simple, sesame seed-sized brains, bees are capable of learning, communicating (through a spectacle called the “waggle dance”), and maintaining complex societies. And they’ve been at it for at least 40 million years. 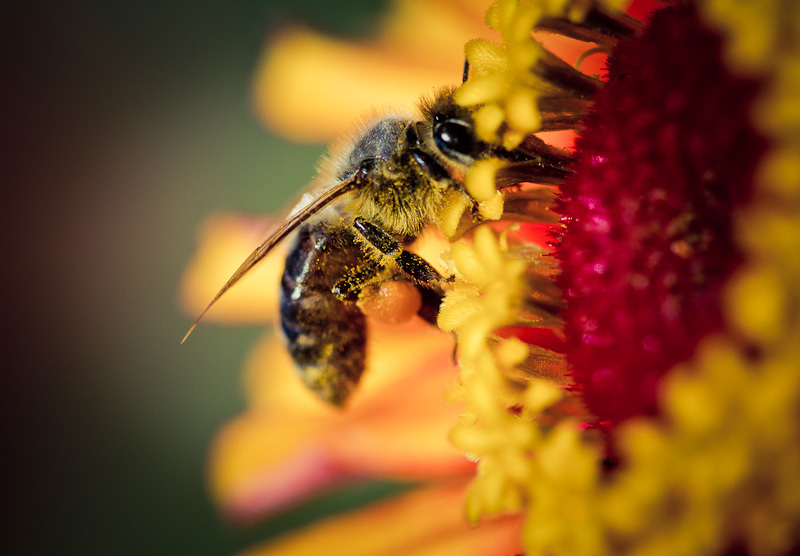 In those 40 million years, bees have become hugely important contributors to our food system. The USDA estimates that one out of every three mouthfuls of food in our diet is the direct or indirect result of bee pollination. In gathering the protein and carbohydrates—pollen and nectar—they need to maintain their colonies, bees inadvertently pollinate flowers that ultimately produce fruits, vegetables, and nuts we all eat, adding $15 billion to U.S. agricultural crop production each year. In the normal course of living, bees produce wax, honey, and a third product perhaps only familiar to naturopathic doctors and natural food stores’ vitamin-aisle gurus: propolis. 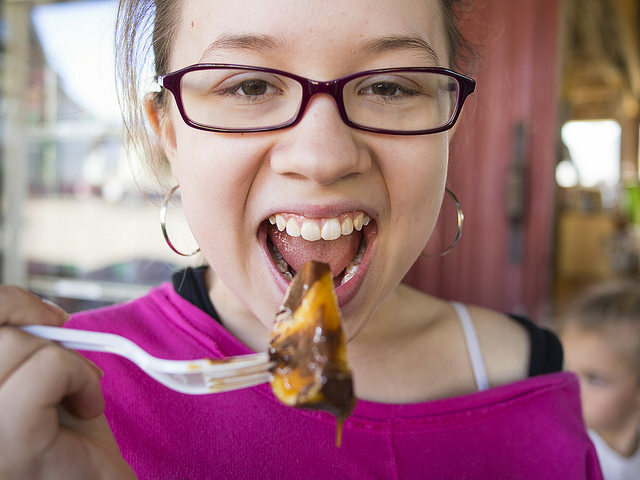 Propolis can be applied topically to heal skin wounds, aid in recovery after oral surgery, combat the symptoms of genital herpes, and—in test tube studies—maybe prevent cancer. Recently, older men have become particularly animated by a new potential application. In late 2014, a Japanese scientist revealed research showing that propolis may stimulate hair growth in mice, hinting that a new therapy for human baldness is on the horizon. And of course, like any patriotic American prodigy, the bee has also been recruited to bolster U.S. military defense—by serving as bomb-sniffers. Bees’ lives as explosive detection devices began as far back as the 1980s, when researchers all over the world began using bees—whose hairy, statically-charged bodies are perfect for picking up all manners of air, soil, water, and plant samples—to “map” the distribution of biological and chemical materials over large geographic areas. Fast forward to the late ‘90s and early 2000s, when researchers at the University of Montana received a DARPA grant to train bees to home in on “odors of interest” by conditioning them to associate the odors with nectar. The resarchers were successful in many ways, but bees have some annoying habits, they learned: despite being cheap and quick to train, “bees do not fly at night, during heavy rain or wind, or when temperatures drop to near or below freezing.” Plus, like all wild animals, bees tend to be a little opportunistic outside the controlled environment of a lab, losing the will to follow the chemical scent when they happen upon any other fine-smelling flower. But for all their importance to our dinner plate, medicine cabinet, and military, bees have it hard. The idyllic image of bees living peacefully among lush forests of wildflowers, or tucked away in a sweet-smelling orange grove, is mostly a farce. The majority of the country’s 2.5 million managed honey bee colonies are on an involuntary, year-round road show, boxed and transported from farm to farm to pollinate huge monoculture operations incapable of nutritionally supporting the hives any other time of year. 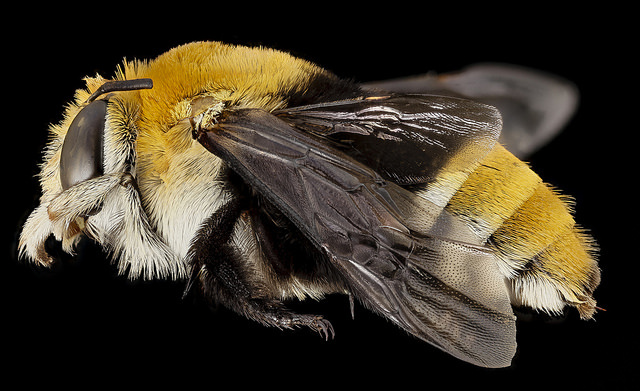 Since the 1950s, most bees live on trucks. Perhaps the biggest beneficiary of this expanded mobile pollination scheme is America’s new favorite “nut”: almonds. In many parts of California, which produces 80% of the world’s almonds, you can drive for miles and miles without a break in the almond orchards. Today, humans consume 10 times more almonds than they did in 1965–owing mostly to their widely-touted health benefits and China’s booming demand–and California growers have done a decent job keeping up. 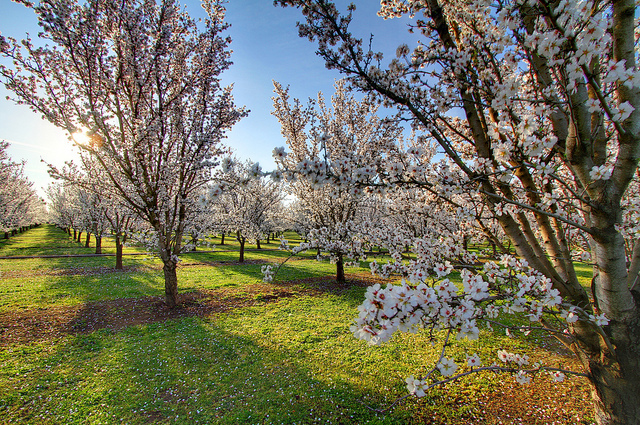 In just the last 10 years, California farmland dedicated to almond production has increased 44%. Requiring honey bees for pollination, and having converted formerly diversified landscapes to massive monocultures that can’t support bees year-round, almond growers are demanding higher and higher seasonal bee imports. According to the USDA, California’s almond industry alone “requires the use of 1.4 million colonies of honey bees, approximately 60% of all managed honey bee colonies in the United States.” Colonies are trucked across state lines, many originally from Montana and North Dakota, and released to pollinate the orchards for a fee of $45 to $55 per colony. It’s good to be needed. But there’s one problem: bees are dying. Since beekeepers first reported massive hive losses in the winter of 2006, the number of managed bee colonies has declined by an average of 30% every year. The annual loss rate has been slowing, but it remains well above what beekeepers say is manageable in the longer term. Looking back several decades, we see that the 5 million colonies in existence in 1940 have been reduced by half at the same time that demand for pollinators has exploded. 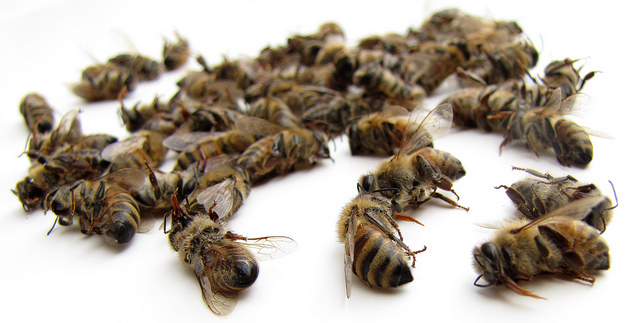 “Honeybee collapse has been particularly vexing because there is no one cause, but rather a thousand little cuts. The main elements include the compounding impact of pesticides applied to fields, as well as pesticides applied directly into hives to control mites; fungal, bacterial and viral pests and diseases; nutritional deficiencies caused by vast acreages of single-crop fields that lack diverse flowering plants; and, in the United States, commercial beekeeping itself, which disrupts colonies by moving most bees around the country multiple times each year to pollinate crops. A huge portion of the blame has fallen on neonicotinoids, pesticides that begin in the plant roots and move up through the flower to reach bees and other pollinators. In addition to more general deleterious effects on pollinators, scientists have found that these pesticides can affect bees’ homing systems, causing them to lose their way back to the hive. 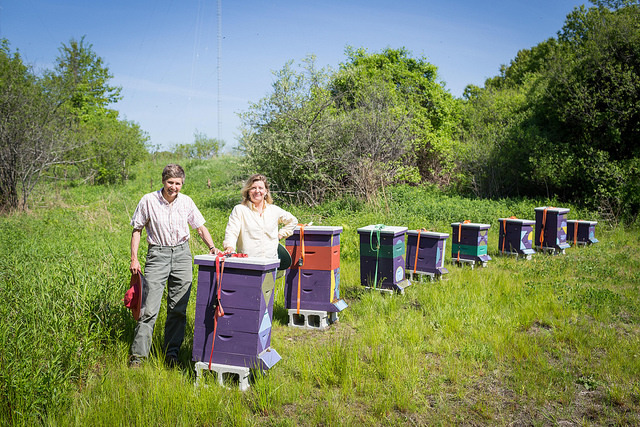 When growers don’t have access to bees, they try to emulate bee behavior. In nations without bees, growers hire farm workers to climb high into the trees to pollinate flowers by hand, with paintbrushes. In the United States, some tomato growers have resigned themselves to the unsexy task of agitating flowers one by one, with handheld vibrators (the names of some of these devices being “plant tickler,” “tomato tickler,” and “petal tickler”). But they’re not particularly good at it, and growers who can access and afford it prefer the more natural bees-for-hire method. The good news is that the bees have at least one person on their side: our current President. 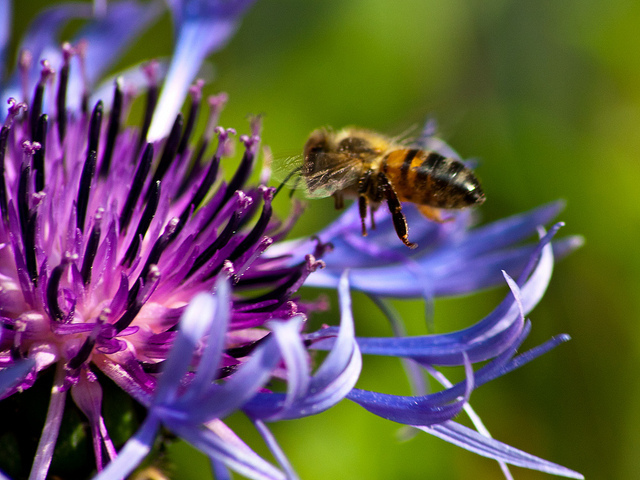 In June 2014, the White House put out the memo “Creating a Federal Strategy to Promote the Health of Honey Bees and Other Pollinators” and created a 180-day Pollinator Health Task Force to explore the issue. The Task Force’s work would build on the ongoing efforts of the USDA and National Institute of Food and Agriculture’s Colony Collapse Disorder Steering Committee [PDF]. 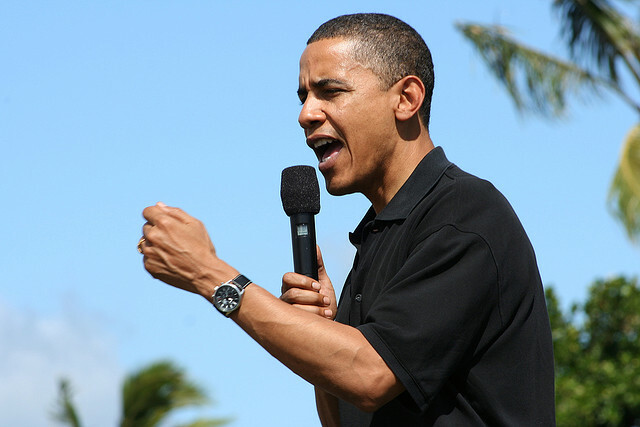 The USDA and EPA-led Task Force took written comments and held two public listening sessions in mid-November 2014. A research action plan, public education plan, and efforts to expand public-private partnerships are expected soon. In the meantime, the USDA granted $8 million to Michigan, Minnesota, North Dakota, South Dakota, and Wisconsin farmers and ranchers to create new habitats for honey bees. In her own show of support earlier in 2014, White House gardener-in-chief, Michelle Obama, added food for bees and monarch butterflies to her Kitchen Garden. Turns out that Michelle’s tactic reflects researchers’ biggest and best call to action for anyone who wants to save the bees: plant flowers. Cascadian Farm Organics, a General Mills-owned label, even created an inspiring ad campaign, Bee Friendlier, to publicize the idea. In their commercial, anticipatory music swells as a canary yellow biplane takes to the skies to drop Seedles, or clay-packed balls of wildflower seeds, onto a fallow field in Yolo County, CA. Children lifted on dads’ shoulders and white fenceposts shout and cheer as the plane passes overhead and Seedles drop from the sky in an epic hail storm of environmental good will. “This is like the matchstick, the catalyst for inspiring a lot of other small collective actions, because we’re going to need many, many millions more flowers,” says Seelds creator, Chris Burley. Bottom line? In the human-honey bee symbiosis, we should, we must do a better job of holding up our end of the deal–providing a robust, delicious, unending feast for bees. Tags: almonds, bees, flowers, military, obama. Bookmark the permalink.